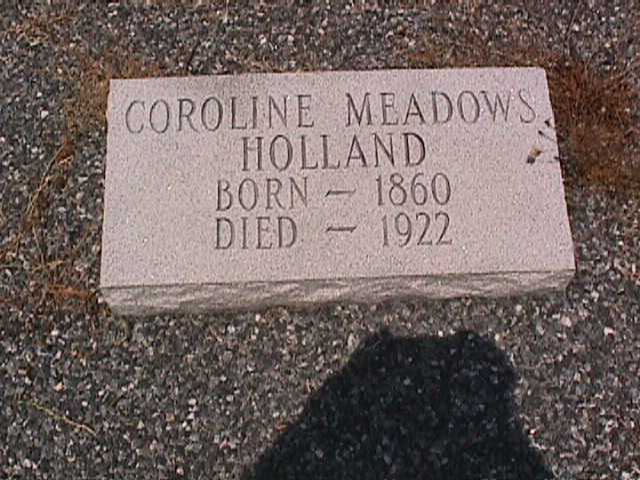 Death* 1922� Rebecca Caroline Meadows died in 1922. Her nick name could have been Polly. [S34] John W. Jordan Pittsburg and Her People. Guardian bonds for June 5 1871 list Thomas Scarborough as guardian for orphan of Elias Mims. [S454] George Lendrum,, "Essex Co., Va."
[S55] 1870 Census;, p. 96 name was spelled Mitchel. [S52] 1850 Census;, She is living with her parents. Biography* 1812� In 1812 The first of the Mitchell family to reside in Pittsburg was Laurent Camille Michel (as the name, which is French, was then spelled). This family is of pure French origin. The name was changed, or Americanized, rather, at the close of the War of 1812, when Laurent Camille Michel first came to Pittsburgh. He did not intend to remain here long, hence paid no attention to being called "Mitchell," by which name he was ever afterward known. His French name is Michel, but he became known as Mitchell in America. [S52] 1850 Census;, Listed as "clothier" in this census. [S52] 1850 Census;, Living in the 3rd Ward.